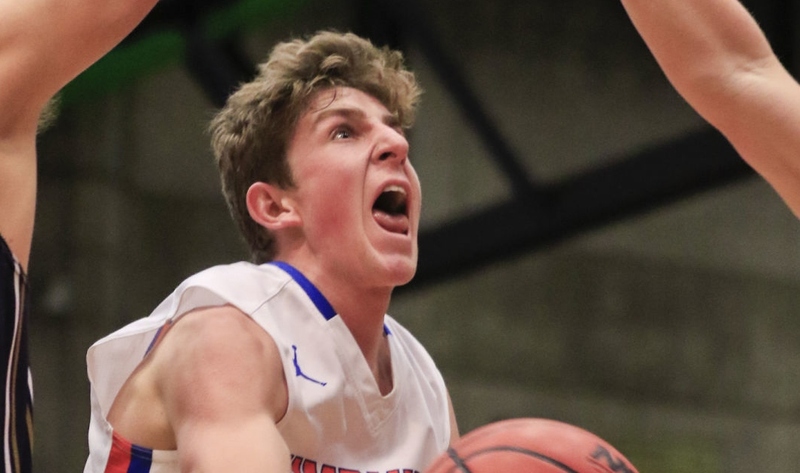 Timpview high school junior Nate Hansen made a verbal commitment to BYU basketball yesterday. Hansen is a 6-foot-3 165 pound guard that averaged 15.1 points as a junior. He was named 3rd team All-State and won the BYU basketball camp MVP for a second straight year. Hansen is the first commit for the Cougars Class of 2019. He has scholarship offers from UC-Davis, Portlant, and UC-Irvine with interest from Hawaii, Utah State, and UVU. Hansen plans on serving an LDS mission and returning to play for the 2021-22 season. Position: Point/Shooting Guard HT/WT: 6’3”, 165 lbs. BYU Insider:Why did you choose BYU? Hansen: I love Provo and the people that support BYU. Also, I grew up as a Cougar fan. I live three minutes away from campus and wanted to stay close to home. I really like Coach Rose and have seen what he’s been able to do in his career as a coach. That made me want to come and continue the winning culture. BYU Insider:What are you most excited for? Hansen: My first game. Just being able to warm up in the Marriott Center is going to be an unreal feeling. BYU Insider: Best advice you’ve been given? Hansen: During my sophomore year my high school coach shared the following quote with me: “fear and apprehension are the enemies of greatness.” He may have gotten that somewhere but that’s always stuck with me. BYU Insider: Player(s) you seek to emulate on the court? Hansen: Ricky Rubio or an oldy Steve Nash. Both are amazing point guards who play the game right!